Apple’s new iMessage app was one of the biggest surprises at WWDC yesterday. Once I got iOS 5 and Lion installed on my devices, I asked our Twitter followers what they wanted to know about the new OSes and we got a lot of questions about iMessage and how it works. There seems to have been a bit of confusion regarding the new service, so let me help explain how iMessage works on iOS 5.
iMessage is not a stand alone app. Instead, Apple converged iMessages and SMS Texts into one app called “Messages.” This is great because instead of having to switch between different apps, and worrying about how to get all your contacts synced up for both of them it’s all taken care of on the back-end. What’s great about Messages is that you don’t have to know your friends Apple ID or tell your iPhone to send them an iMessage instead of an SMS. 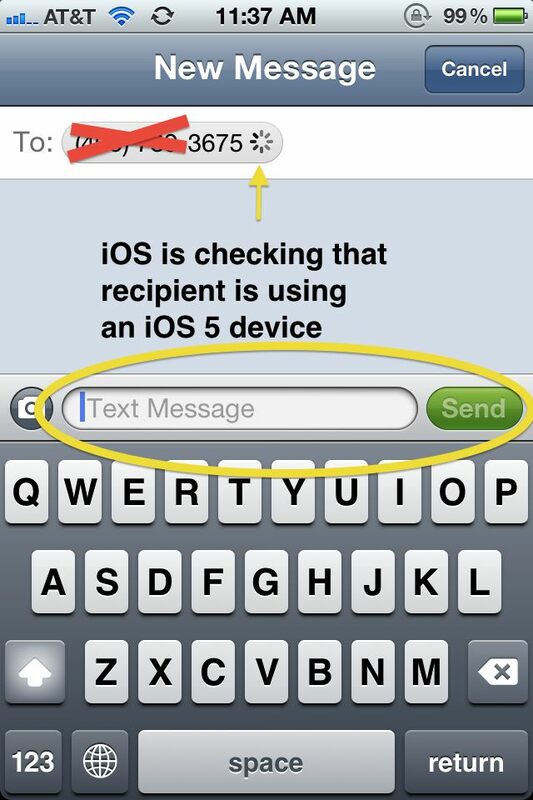 Your iOS 5 iPhone automatically checks to see if the phone number you’re sending to is an iPhone running iOS 5 and if the recipient is running iOS 5 it will send them an iMessage rather than an SMS Text. It’s incredibly simple and will probably save a lot of people some money on texting fees. Once it’s been determined that a contact has iOS 5, your Address Book is update and a small blue chat bubble will appear next to the contact’s name in the future, indicating that they can receive iMessages. If you’re still not sure whether you’re sending an iMessage to SMS Text, Apple has revamped the texting screen by adding a little bit more color. SMS message conversations are green while iMessage conversations are blue. Here is a screenshots of me sending a text to my girlfriend (who for some reason is still rocking a Palm Pre) and another screen sending a text to CoM Writer, Killian Bell who is using an iPhone 4 with iOS 5. 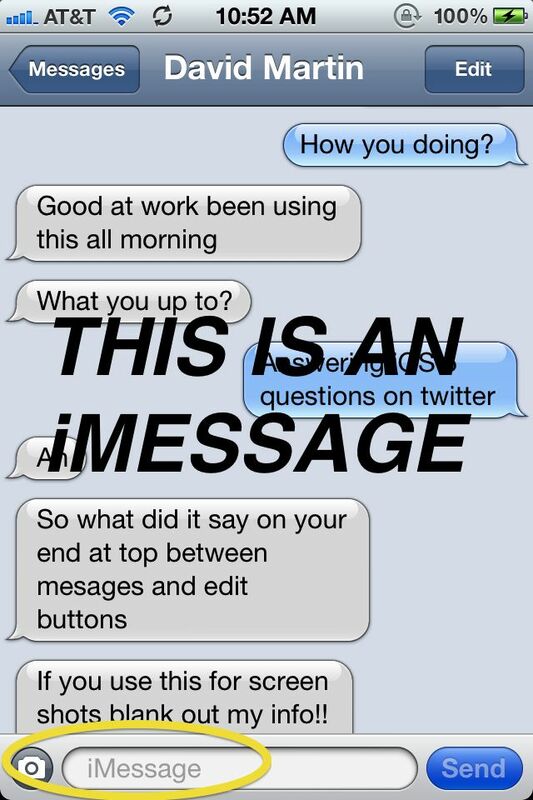 Notice that the “Send” button on the SMS and the iMessage are different colors, as well as the outgoing chat bubble. A few other odds and ends: Many people look to iMessages as a way to end their Texting Plans, but how can you keep from sending SMS messages on accident? Easy. 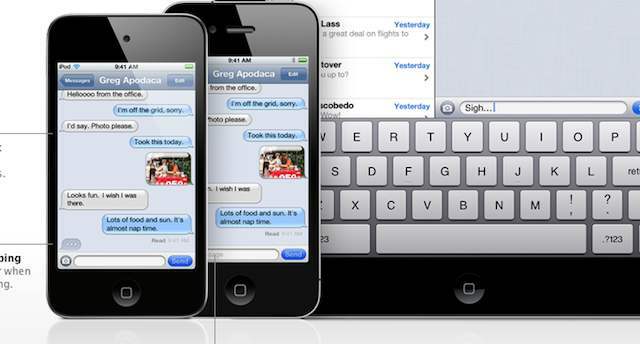 iOS 5 allows users to turn off SMS messaging completely so that iMessages are the only protocol that can be sent. 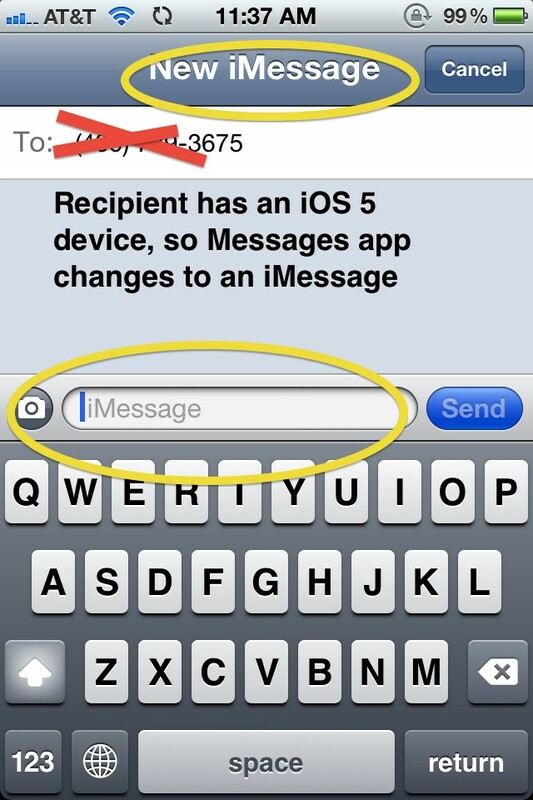 The reverse is also true in that you can turn off iMessage as well so that you’re only doing SMS. Another question has been, “well what if I have an iPod Touch and no iPhone?” Users with an iPod Touch can send/receive iMessages by using their Apple ID. You even have the option of changing your “Caller ID” from your phone number to your email address. Overall, iMessages are great. Being able to see when a message has been delivered and whether it’s been read or not really enhance the communication experience. The best part is that you don’t have to even think about them because if Apple is doing all of the work completely behind the scenes so that you won’t even notice. Using iMessages on multiple devices with the new support of iCloud ensures that you’ll never miss a beat when you’re working on both your iPad and iPhone. Now that you’ve had a better look at it, what do you think? 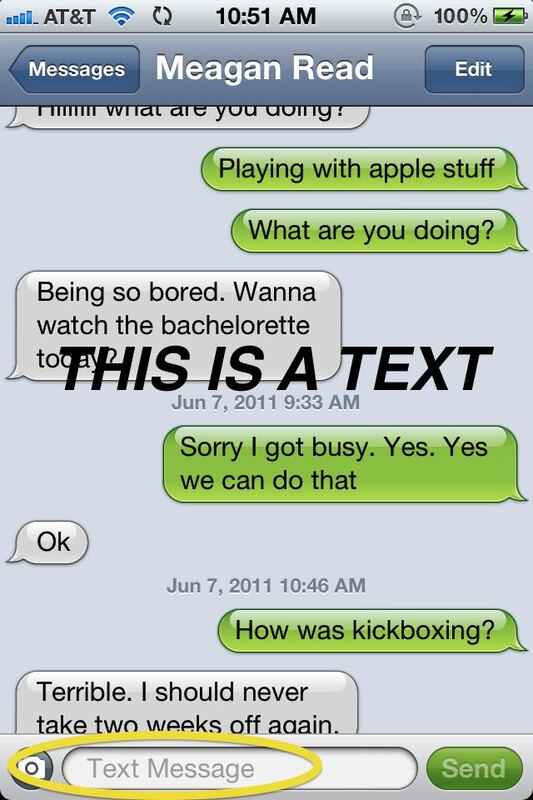 Will iMessages slowly replace your Texting?